A DML CUSTOMER IS A CUSTOMER FOR LIFE! We are proud to share our work with the world. Please let us know how we are doing. We had DML repair our house after a major hailstorm destroyed our roof, totaled our gutters, took out our back porch and seriously damaged all the siding on the North side of our home. We contacted them and received a prompt response. They were able to get supplies while many in our neighborhood were still waiting for materials for their homes. Larry Hussey was fantastic to work with and a tremendous help through the whole process. 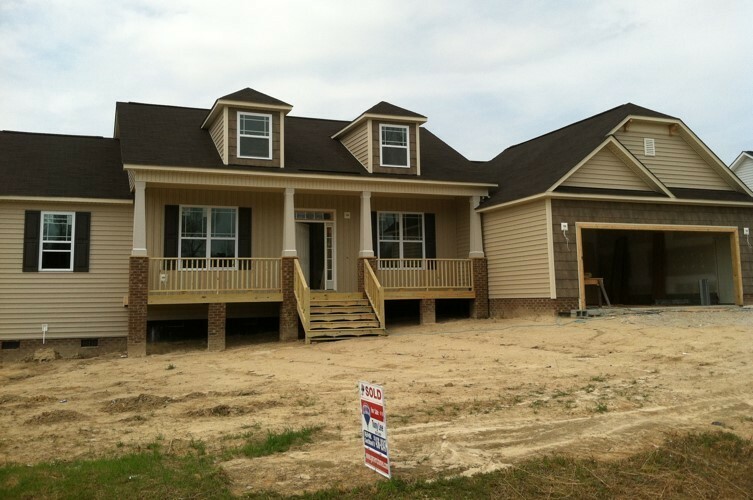 They performed all the work, including siding, windows, doors, screening, fence repairs, roof and gutter repairs. Their work crews were considerate, excellent and hard working. We were extremely pleased with every aspect of their service and highly recommend them!! We have always been very pleased with the work DML has done for us! In addition to siding and windows, they did a fabulous job designing and installing our Three Season Room. I highly recommend Larry and his staff for any new construction or renovation needs you may have. I had decided to make my home maintenance free before I retired. I contacted several contractors to get estimates for windows, siding, shutters, gutters, doors and a few other modifications to my house. 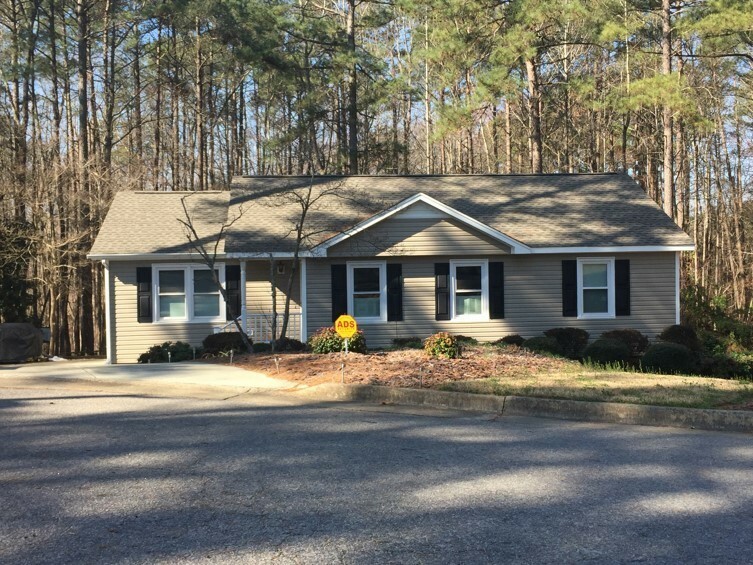 I had a few large well known companies came out from the Raleigh area and give me estimates, and I really thought my dream was unattainable by their estimates. I then decided to look locally (Clayton area) for a contractor, that was when I met Larry Hussey at DML Siding and Windows. He came right out, walked around and even gave me suggestions on things I was undecided about. Once we got all my "wants" on paper and Larry worked up a cost for all the work, I was totally shocked that his estimate was over $10,000.00 cheaper and this was with additional work added. I immediately signed the contract and the crew began working on my house within a few weeks. These guys were so friendly and professional from the beginning to the end of the job. We had rainy days, but they worked on Saturdays to get my job done. I am so pleased with the results, it looks like a new house and everyone that sees it has feel in love with the colors and choices I made to modify the look of the house. The price was way more reasonable than any other company I had called for estimates and this was with some major changes I made to my house. Support your local businesses and give Larry a call. Pictures of my house before and after will be posted on this page soon. Thanks again Larry and DML Siding!! I will be contacting you again for changes inside my house I am wanting. Thank you Larry Hussey and DML for replacing my window that was in need of being replaced. I found you and your helpers to be very efficient, clean and friendly. They went right to work and had it done in no time and it was perfect. I had checked on the internet for window replacement for the window and was told by one company which was all that called me back that they would not do just one window. I was so happy to see your add in my church bulletin and called. 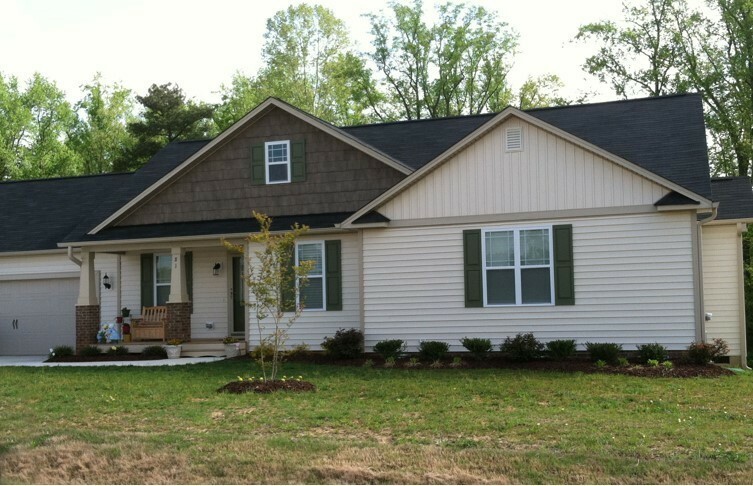 You came out worked with me to get it approved through my HOA and made it happen for me. I am so grateful and will be calling you again in the future for the rest of my window needs and some remodeling that I plan on doing. DML Siding and Windows replaced the windows and siding on my house in March of this year, 2016. My initial contact with Larry Hussey was very positive. He was extremely personable and provided a quote that was less than I was anticipating. I gave him the job and he worked closely with me to coordinate with my schedule for installation of both the windows and siding. This was due to me having other work I was trying to accomplish on the house within the same time frame. The workers who came to do the window replacement were friendly and courteous and completed the job quickly and professionally. Upon completion they ensured the area was picked up and left how it was found. The new windows appeared to be of very good quality and looked great. They also eliminated numerous air leaks due to deterioration of the seals on the old windows, helping lower our energy bill. A few weeks later the siding installation crew came out and not only did an outstanding job installing the siding, they took nearly a day to repair an area around the chimney that had received water damage in the past. Again, they did a quality, professional job with the repairs, ensuring I was satisfied when they were done. The extra cost to have the damage repaired was very reasonable and worth every penny. Again, upon completion of the job the workers cleaned up the entire area and Larry returned to ensure I was satisfied with the the work that had been performed. So if you're looking for a team of professionals to replace your windows and/or siding, look no further than DML Siding and Windows. They'll get the job done for a competitive price and with excellent results. DML Siding and Windows (Larry Hussey) replaced my roof May 2015. The crew was very efficient. Everyone showed up bright and early and the roof was on in two days. Thanks so much for your hard work and doing a great job. I will refer you to anyone and everyone I know in the need of a new roof. DML Siding and Windows (Larry Hussey) will be my #1 go-to-business for any other home repairs or remodeling. 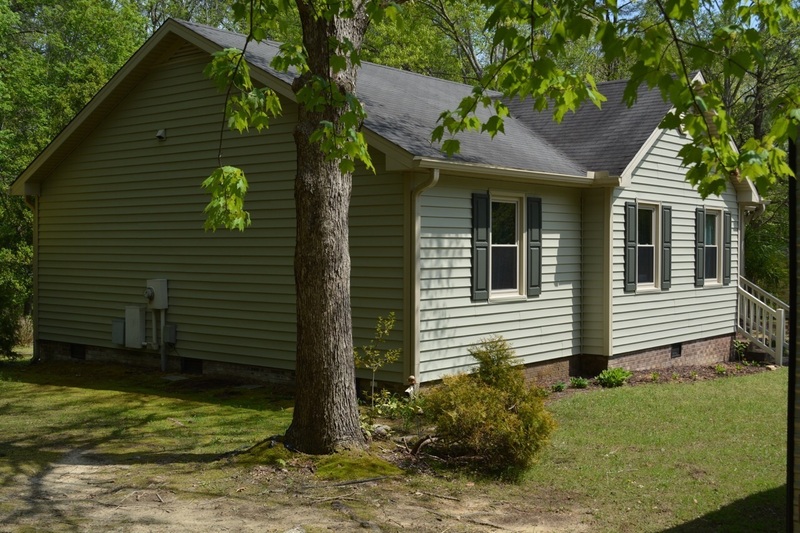 I hope to use DML Siding and Windows in early 2016 for an interior remodeling project. As a resident of Kure Beach for the last 25 years, I am often asked to recommend reliable contractors who perform quality work. DML Siding and Windows (Larry Hussey) replaced my roof May 2015. My name is Dr. Ked Cottrell and I would like to recommend Jason Hudson (with DML Siding and Windows) for any of your home or commercial needs. I have known Jason for more than 10 years and he has completed several major project for our family. These have ranged from total home remodeling to out door projects. In every case, Jason has been fair with prices and project time frame. Honesty, dependability along with a outstanding work ethic makes Jason Hudson and company a great choice for all your needs. I want to thank your company for the good work they did; adding a front porch and installing a new metal roof. The installation was just as I had requested, the attention to detail was excellent. They were helpful throughout the process and they listened to any concerns I might have. When they finished they did a good job closing out the project and cleaning up. I would recommend them to anyone. Thanks for the good job. Patrick came out to our home, and spent the time with us to answer all our questions about the 2800 Dove Windows. In his demonstration, he showed us a window sample and thoroughly explained the features, and benefits of the 2800 Dove Window. We were convinced that we were getting a quality lifetime window for a very reasonable price. Our Dove Windows were installed by a friendly, professional crew that we will definitely use on our next home project. Their quality workmanship was evident after we saw the first window installed. We felt at ease leaving them in our home to work on their own. Patrick was at our home early every morning with his crew and during the install of our windows. They were in and out of home in two days and left our home with a great looking facelift. We would highly recommend to anyone DML Siding, Windows and Roofing for their home remodel or projects. DML provided us with excellent service, a very cordial and professional staff in replacing our roof and installing our new windows. We love our new Dove Windows and our new roof looks great! We look forward to working with Larry and Patrick on future projects around our home. We had a great experience and will recommend DML Siding, Windows and Roofing to our family members, neighbors and friends. DML Siding, Windows and Roofing has restored my confidence about craftsmanship and quality of work. Every day that I come home from a hard day’s work and look at the siding and trim done by DML, there’s a smile of satisfaction on my face. It is one investment that is worth every penny. After interviewing three remodeling companies and selecting DML Siding, Windows and Roofing, we felt confident that we made the best choice both in terms of price and quality. The finished product, however, exceeded our quality expectations. We do not hesitate to showcase our home to other DML prospective customers and recommend DML to all our friends and neighbors. My name is Charles Jones and I live in the Bentonville Community. 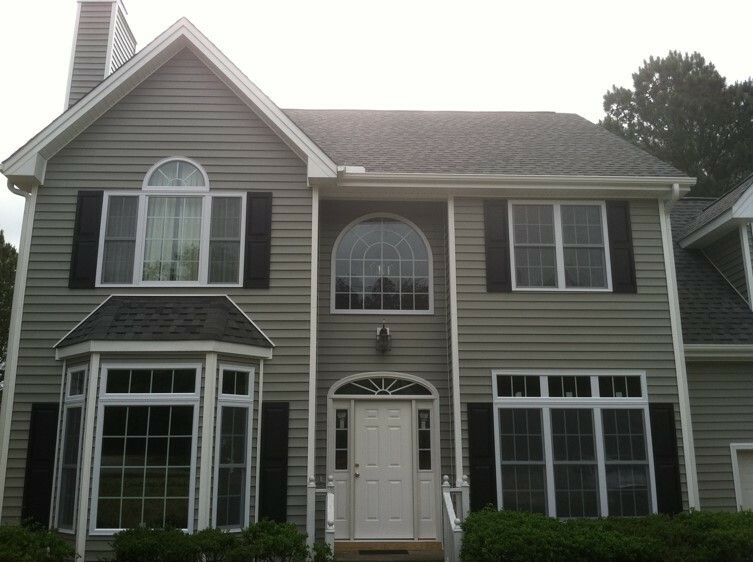 I contacted DML Siding and Windows for a quote on the installation of new siding for my home. Larry came out and went around the house with me. Larry was very knowledgeable about what was to be done and very helpful in what would make my home look its best. I am enclosing pictures of before and after so you can see for yourself. The DML siding crew did everything that Larry and I had discussed and was very good at their jobs. I would recommend this company with a 10 on a scale of 1-10. I had quotes from 7 other companies and DML Siding and Windows beat all of them, the highest by more the $7,000.00Â and the lowest by more than $3,000.00. This is a big difference in anybodies book. We truly appreciate and thank you for your outstanding installment of the siding on the barn/tool shed. Was totally applaud by the completion..an EXTREME MAKE OVER!!! Your awesome craftsmanship consistence continues!! Having had an excellent encounter some years ago when you installed the siding on my home your profession craftsmanship, guidance.. at the same time kept my request a high priority. No hidden charges, No pressure of sales ,time frame of completion EXCELLENT!! You made previous projects and this one as well stress free!! Your proven trustworthiness has made this homeowner a believer that there are still GREAT individuals..company that really do take pride in their job reputation!! .. DML Siding and Windows (Larry Hussey) Truly speaking from this sincere homeowners heart.. YOUR ONE Awesome Company! Thanks !